Cell for the withdrawal of queens API-MAXI "30"
Overalls of the bee-keeper, mask "Euro"
Set 021 Dzhenterskogo cell with 40 pieces of yellow finned holders for comfortable operation for the removal of queens. 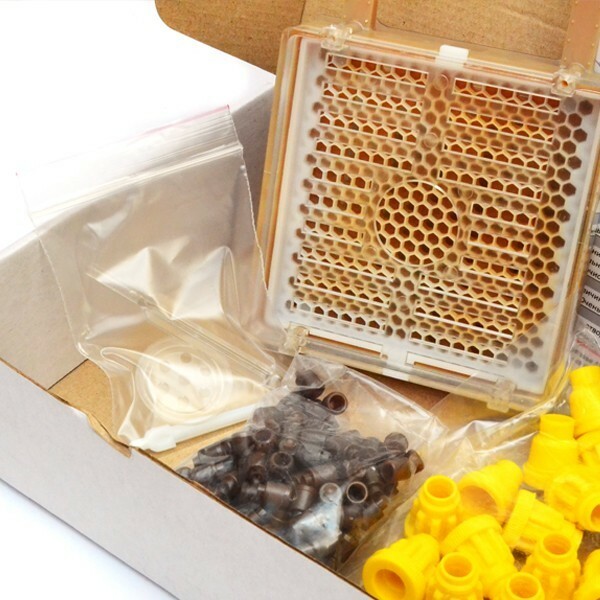 Honeycomb (the base of any set: it made in form which imitates natural gasket). 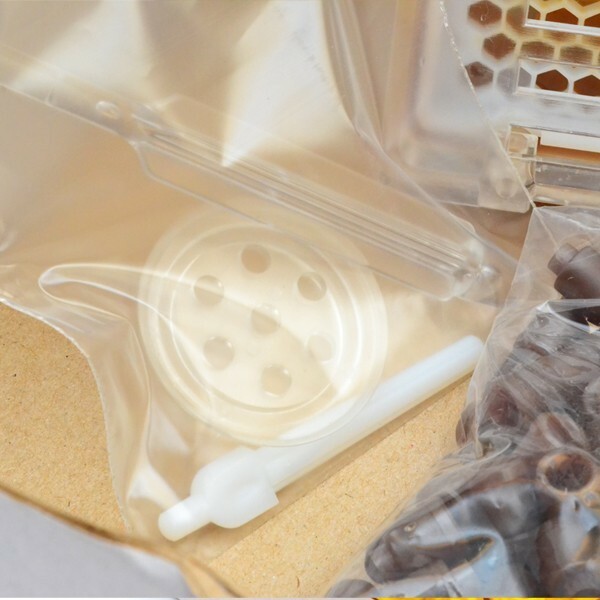 Gasket is completed by plastic cellular base, simulating pulled bees honeycombs, the back tight cover, and the front cover in the form of separate lattice that allows access to bees to the honeycomb limiting the Queen Bee. Set (115 pcs.) of bottom boards for laying eggs on them by the Queen Bee. Set (115 pcs.) bowls for airtight connection to the bottom board where larva of bees is. This connection is exactly copies the natural queen bee's cell and bees can easily adopt these larvae on the Queen Bee's upbringing. Choke for the isolation of the Queen Bee on honeycomb during the time of its laying of eggs. 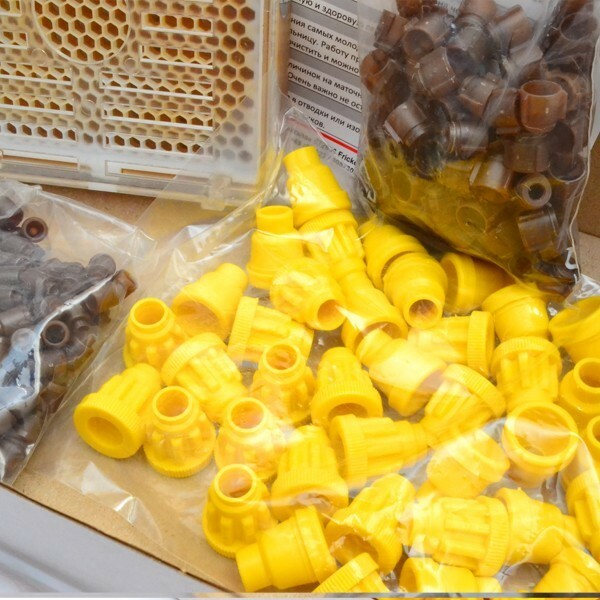 Holders for connected bowls for fixing in breeding bar (20 pcs of smooth + 20 pcs of ribbed). The User's Guide language of Jenter's honeycomb (factory) is on language of the country where set will be exported. 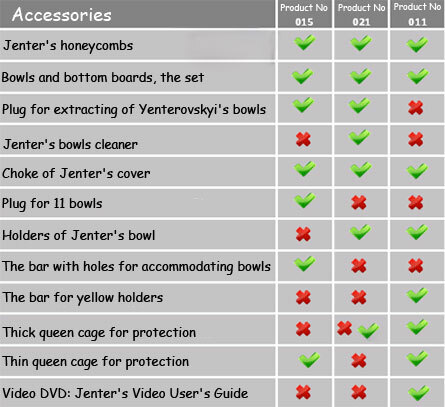 If it is necessary, a beekeeper can purchase separately necessary accessories in the right quantity. The multiple use of components. The set comes in original packaging with a protective sticker from opening.